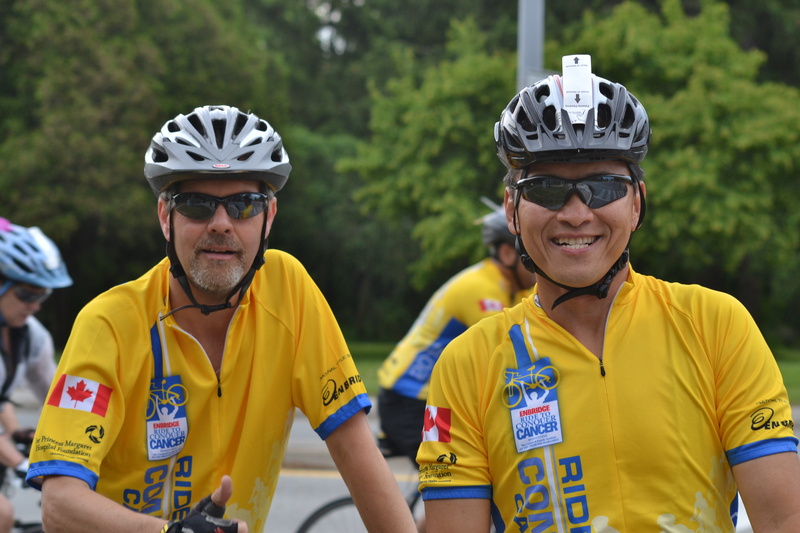 My sweetie and his buddy are cycling in the Ride to Conquer Cancer. 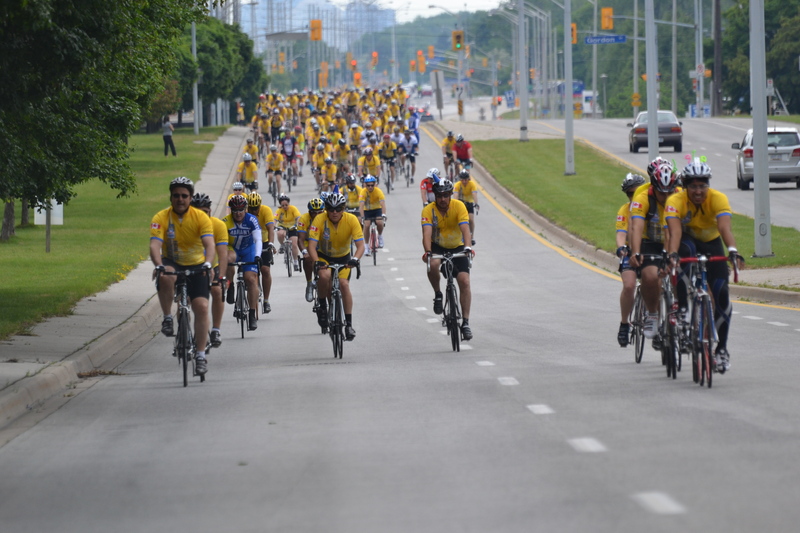 Their route will take them from Toronto to Hamilton and back again. 200 km in total. Same here. Wonderful men we are married to, eh? they are – they were SO pumped! and it was so sweet – Eric rode ahead and warned me that Tim was getting close so I could get some shots!